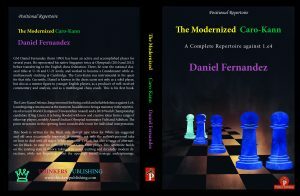 This book, written by the young English GM Daniel Fernandez and published by Thinkers Publishing, is (as the sub-title suggests) a repertoire book for Black players of the Caro-Kann defence. As such, Fernandez does not cover all possible black lines, but instead he recommends lines against each of the systems that White can employ against the Caro-Kann – and in many instances he recommends more than one line so that the reader can choose according to preference. His repertoire consists of one or two solid (but not sterile) lines against each system, but additionally he throws in the occasional not-so-sound line (and always warns that he is doing this) that can be tried as a surprise weapon, or perhaps at faster time controls. This is an excellent book, Fernandez manages to mix detailed analysis, explanations and personal opinion in a way which makes the book readable and enjoyable to go through (and believe me, some of the analysis is very detailed). The book is well produced and organised, and quite substantial at 416 pages. There is no detailed Index of Variations (usually a bugbear of mine! ), but it is easy to find the line you’re looking for from the Table of Contents and the beginning of the book and a mini-Table of Contents page at the beginning of each chapter for the sub-variations. I would highly recommend this book for anyone thinking about taking up the Caro-Kann, and for that matter to anyone who already plays it – it is one of the best opening books I have seen. It is difficult to discuss this book without comparing it to Jovanka Houska’s book “The Caro-Kann” produced by Everyman Chess. 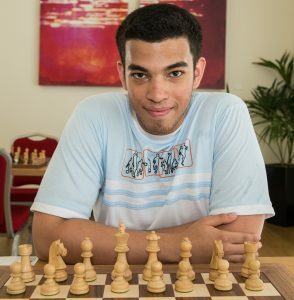 Both books are recent (Houska 2015, Fernandez 2018) repertoire books by top English players who play the Caro themselves. (It is the Houska book that I used when I started using the Caro a couple of years ago.) In my opinion, both books are top-notch and provide the prospective Caro player with a good repertoire. 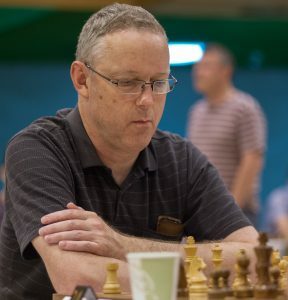 If asked which book I would recommend this prospective Caro player to buy I would answer “both of them” – despite the overlap there are substantial differences in some lines (for example Houska recommends 4 …Bf5 after 1 e4 c6 2 d4 d5 3 Nc3 dxe4 4 Nxe4 whereas Fernandez recommends 4 …Nd7 here) and this gives players more choice over the lines they select. Of course, if budget does not permit buying both books then either one will do the job. I would be reluctant to choose only one of these excellent books, so I will not do so. 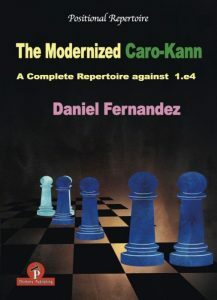 In summary: The Modernized Caro-Kann is an excellent choice for prospective Caro-Kann players, or indeed for those who already play the Caro-Kann and are looking to update their repertoire.